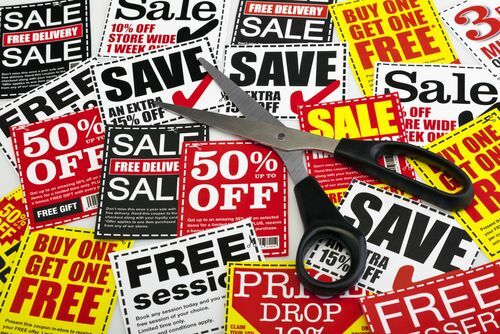 Coupons have been an accepted form of marketing for years because they work to entice new customers while providing incentives for your regular customers to come back. Coupon mailings need to be done effectively though if you want them to really help you generate more business. 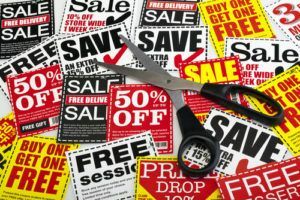 Use this guide to make sure your coupon mailings are doing their job and that you aren’t spending money on marketing efforts that will fail. Coupons that offer customers $1 off their $100 bill aren’t effective because they’re not valuable to the end user. A coupon that offers 25% off a purchase of $100 is much more effective because customers will quickly realize that they’ll get $25 off their $100 bill, paying only $75 total. Providing substantial discounts can get you new customers who will happily pay full price next time. They’ll also bring old customers back in to realize why they went to you in first place. Along with real discounts you need coupons that are visually appealing. If your coupons are boring they won’t grab attention and your marketing efforts will end up in the trash. Present a clear offer, but make sure your coupon is visually attractive. Appealing coupons have more intrinsic value and recipients are more likely to view your company and the discount in a positive light. Coupon mailings that arrive at a consumer’s door will always have their place because they’re effective and very simple for the end user to redeem. Digital coupons are becoming more and more popular each day though, and with almost every consumer carrying a smartphone around in their purse or pocket, there are fewer convenience issues for the average person. To make digital coupons effective you should include a bar code your POS system will recognize so customers don’t have to print them. Providing an additional code that your cashier enters to apply the discount can cut down on scanning errors as well. Another way to go digital is to add a QR code to your printed media. When scanned the user receives their coupon. A solid strategy is to send out a postcard advertising your sale, with an additional savings when the user downloads an online coupon. To get the coupon, they must enter their email address, therefore you are generating leads for your email newsletter as well.